(German orthography regulated by the Council for German Orthography  ). German (Deutsch [dɔʏtʃ] ( listen )) is a West Germanic language that is mainly spoken in Central Europe. It is the most widely spoken and official or co-official language in Germany, Austria, Switzerland, South Tyrol (Italy), the German-speaking Community of Belgium, and Liechtenstein. It is also one of the three official languages of Luxembourg and a co-official language in the Opole Voivodeship in Poland. 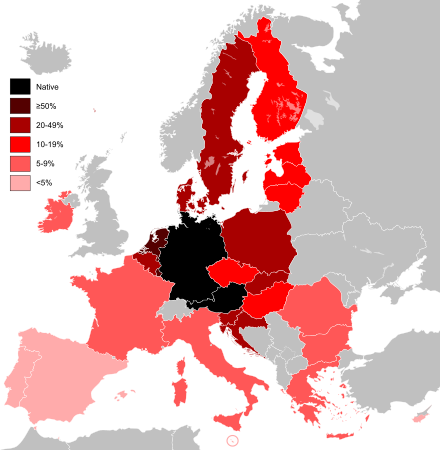 The languages which are most similar to German are the other members of the West Germanic language branch: Afrikaans, Dutch, English, the Frisian languages, Low German/Low Saxon, Luxembourgish, and Yiddish. There are also strong similarities in vocabulary with Danish, Norwegian and Swedish, although those belong to the North Germanic group. German is the second most widely spoken Germanic language, after English. The West Germanic languages constitute the largest of the three branches of the Germanic family of languages. A world language is spoken internationally and is learned and spoken by a large number of people as a second language. A world language is characterized not only by the total number of speakers, but also by its geographical distribution, as well as use in international organizations and diplomatic relations. One of the most widely spoken and fastest spreading world languages today is English, which has over 1.1 billion first- and second-language users worldwide. In the Germanic languages, a strong verb is a verb that marks its past tense by means of changes to the stem vowel (ablaut). The majority of the remaining verbs form the past tense by means of a dental suffix, and are known as weak verbs. Standard German, High German, or more precisely Standard High German,, is the standardized variety of the German language used in formal contexts, and for communication between different dialect areas. It is a pluricentric Dachsprache with three codified specific regional variants: German Standard German, Austrian Standard German, and Swiss Standard German. In German linguistics, the Benrath line is the maken–machen isogloss: dialects north of the line have the original in maken, while those to the south have the innovative (machen). The Line runs from Benrath and Aachen to eastern Germany near Frankfurt an der Oder in the area of Berlin and Dessau and later in Prussian dividing Low Prussian dialect and High Prussian dialect. The Uerdingen Line is the isogloss within West Germanic languages that separates dialects which preserve the -k sound in the first person singular pronoun word "ik" from dialects in which the word final -k has changed to word final -ch in the word "ich". This sound shift is the one that progressed the farthest north among the consonant shifts that characterize High German and Middle German dialects. The line passes through Belgium, the Netherlands, and Germany. Düsseldorf is the capital and second-largest city of the most populous German federal state of North Rhine-Westphalia after Cologne, as well as the seventh-largest city in Germany, with a population of 617,280. At the confluence of the Rhine and its tributary Düssel, the city lies in the centre of both the Rhine-Ruhr and the Rhineland Metropolitan Regions with the Cologne Bonn Region to its south and the Ruhr to its north. Most of the city lies on the right bank of the Rhine. The city is the largest in the German Low Franconian dialect area. "Dorf" meaning "village" in German, the "-dorf" suffix is unusual in the German-speaking area for a settlement of Düsseldorf's size. Thuringian is an East Central German dialect group spoken in much of the modern German Free State of Thuringia north of the Rennsteig ridge, southwestern Saxony-Anhalt and adjacent territories of Hesse and Bavaria. It is close to Upper Saxon spoken mainly in the state of Saxony, therefore both are also regarded as one Thuringian-Upper Saxon dialect group. Thuringian dialects are among the Central German dialects with the highest number of speakers. Upper Saxon is an East Central German dialect spoken in much of the modern German State of Saxony and in the adjacent parts of Saxony-Anhalt and Thuringia. Though colloquially called "Saxon", it is not to be confused with the Low Saxon dialect group in Northern Germany. Upper Saxon is closely linked to the Thuringian dialect spoken in the adjacent areas to the west. In general, the surviving texts of OHG show a wide range of dialectal diversity with very little written uniformity. The early written tradition of OHG survived mostly through monasteries and scriptoria as local translations of Latin originals; as a result, the surviving texts are written in highly disparate regional dialects and exhibit significant Latin influence, particularly in vocabulary. At this point monasteries, where most written works were produced, were dominated by Latin, and German saw only occasional use in official and ecclesiastical writing. While there is no complete agreement over the dates of the Middle High German (MHG) period, it is generally seen as lasting from 1050 to 1350. This was a period of significant expansion of the geographical territory occupied by Germanic tribes, and consequently of the number of German speakers. Whereas during the Old High German period the Germanic tribes extended only as far east as the Elbe and Saale rivers, the MHG period saw a number of these tribes expanding beyond this eastern boundary into Slavic territory (this is known as the Ostsiedlung ). Along with the increasing wealth and geographic extent of the Germanic groups came greater use of German in the courts of nobles as the standard language of official proceedings and literature. A clear example of this is the mittelhochdeutsche Dichtersprache employed in the Hohenstaufen court in Swabia as a standardized supra-dialectal written language. While these efforts were still regionally bound, German began to be used in place of Latin for certain official purposes, leading to a greater need for regularity in written conventions. A great wealth of texts survives from the MHG period. Significantly, among this repertoire are a number of impressive secular works, such as the Nibelungenlied , an epic poem telling the story of the dragon-slayer Siegfried (c. 13th century), and the Iwein, an Arthurian verse poem by Hartmann von Aue (c. 1203), as well as several lyric poems and courtly romances such as Parzival and Tristan . (Also noteworthy is the Sachsenspiegel , the first book of laws written in Middle Low German (c. 1220)). The abundance and especially the secular character of the literature of the MHG period demonstrate the beginnings of a standardized written form of German, as well as the desire of poets and authors to be understood by individuals on supra-dialectal terms. Modern German begins with the Early New High German (ENHG) period, which the influential German philologist Wilhelm Scherer dates 1350–1650, terminating with the end of the Thirty Years' War. This period saw the further displacement of Latin by German as the primary language of courtly proceedings and, increasingly, of literature in the German states. While these states were still under the control of the Holy Roman Empire and far from any form of unification, the desire for a cohesive written language that would be understandable across the many German-speaking principalities and kingdoms was stronger than ever. 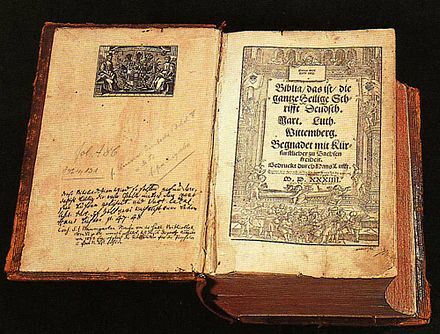 As a spoken language German remained highly fractured through this period with a vast number of often mutually-incomprehensible regional dialects being spoken throughout the German states; the invention of the printing press c.1440 and the publication of Luther's vernacular translation of the Bible in 1534, however, had an immense effect on standardizing German as a supra-dialectal written language. The ENHG period saw the rise of several important cross-regional forms of chancery German, one being gemeine tiutsch, used in the court of the Holy Roman Emperor Maximilian I, and the other being Meißner Deutsch, used in the Electorate of Saxony in the Duchy of Saxe-Wittenberg. Alongside these courtly written standards, the invention of the printing press led to the development of a number of printers' languages (Druckersprachen) aimed at making printed material readable and understandable across as many diverse dialects of German as possible. The greater ease of production and increased availability of written texts brought about increased standardization in the written form of the German language. In 1901, the 2nd Orthographical Conference ended with a complete standardization of the German language in its written form and the Duden Handbook was declared its standard definition. The Deutsche Bühnensprache (literally, German stage language) had established conventions for German pronunciation in theatre (Bühnendeutsch  ) three years earlier; however, this was an artificial standard that did not correspond to any traditional spoken dialect. Rather, it was based on the pronunciation of Standard German in Northern Germany, although it was subsequently regarded often as a general prescriptive norm, despite differing pronunciation traditions especially in the Upper-German-speaking regions that still characterize the dialect of the area today – especially the pronunciation of the ending -ig as [ɪk] instead of [ɪç]. In Northern Germany, Standard German was a foreign language to most inhabitants, whose native dialects were subsets of Low German. It was usually encountered only in writing or formal speech; in fact, most of Standard German was a written language, not identical to any spoken dialect, throughout the German-speaking area until well into the 19th century. 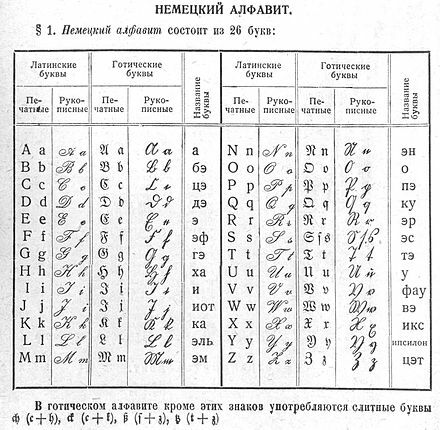 Official revisions of some of the rules from 1901 were not issued until the controversial German orthography reform of 1996 was made the official standard by governments of all German-speaking countries. Media and written works are now almost all produced in Standard German (often called Hochdeutsch, "High German") which is understood in all areas where German is spoken. 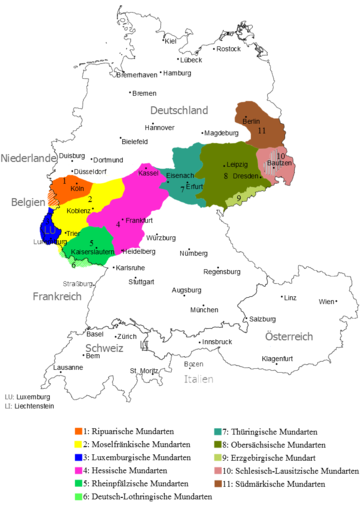 In France, the High German varieties of Alsatian and Moselle Franconian are identified as "regional languages", but the European Charter for Regional and Minority Languages of 1998 has not yet been ratified by the government. In the Netherlands, the Limburgish, Frisian, and Low German languages are protected regional languages according to the European Charter for Regional and Minority Languages;  however, they are widely considered separate languages and neither German nor Dutch dialects. Mostly originating from different waves of immigration during the 19th and 20th centuries, an estimated 12,000 people speak German or a German variety as a first language in South Africa. One of the largest communities consists of the speakers of " Nataler Deutsch ",  a variety of Low German, concentrated in and around Wartburg. The small town of Kroondal in the North-West Province also has a mostly German-speaking population. The South African constitution identifies German as a "commonly used" language and the Pan South African Language Board is obligated to promote and ensure respect for it. The community is strong enough that several German International schools are supported such as the Deutsche Schule Pretoria. In the United States, the states of North Dakota and South Dakota are the only states where German is the most common language spoken at home after English. 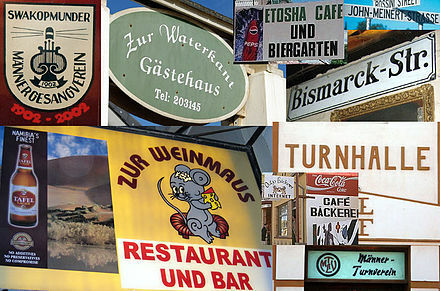 German geographical names can be found throughout the Midwest region of the country, such as New Ulm and many other towns in Minnesota; Bismarck (North Dakota's state capital), Munich, Karlsruhe, and Strasburg (named after a town near Odessa in Ukraine)  in North Dakota; New Braunfels, Fredericksburg, Weimar, and Muenster in Texas; Corn (formerly Korn), Kiefer and Berlin in Oklahoma; and Kiel, Berlin, and Germantown in Wisconsin. In the German-speaking parts of Switzerland, mixtures of dialect and standard are very seldom used, and the use of Standard German is largely restricted to the written language, though about 11% of the Swiss residents speak High German (aka Standard German) at home, but mainly due to German immigrants. This situation has been called a medial diglossia . Swiss Standard German is used in the Swiss education system, whereas Austrian Standard German is officially used in the Austrian education system. The 18th and 19th centuries were marked by mass education in Standard German in schools. Gradually, Low German came to be politically viewed as a mere dialect spoken by the uneducated. Today, Low Saxon can be divided in two groups: Low Saxon varieties with a reasonable Standard German influx[ clarification needed ] and varieties of Standard German with a Low Saxon influence known as Missingsch . Sometimes, Low Saxon and Low Franconian varieties are grouped together because both are unaffected by the High German consonant shift. However, the proportion of the population who can understand and speak it has decreased continuously since World War II. The largest cities in the Low German area are Hamburg and Dortmund. This degree of inflection is considerably less than in Old High German and other old Indo-European languages such as Latin, Ancient Greek and Sanskrit, and it is also somewhat less than, for instance, Old English, modern Icelandic or Russian. The three genders have collapsed in the plural. With four cases and three genders plus plural, there are 16 permutations of case and gender/number of the article (not the nouns), but there are only six forms of the definite article, which together cover all 16 permutations. In nouns, inflection for case is required in the singular for strong masculine and neuter nouns only in the genitive and in the dative (only in fixed or archaic expression), and even this is losing ground to substitutes in informal speech. The dative noun ending is considered archaic or at least old-fashioned in almost all contexts and is almost always dropped even in writing, except in proverbs and other petrified forms. Weak masculine nouns share a common case ending for genitive, dative and accusative in the singular. Feminine nouns are not declined in the singular. The plural has an inflection for the dative. In total, seven inflectional endings (not counting plural markers) exist in German: -s, -es, -n, -ns, -en, -ens, -e.
Like the other Germanic languages, German forms noun compounds in which the first noun modifies the category given by the second,: Hundehütte ("dog hut"; specifically: "dog kennel"). Unlike English, whose newer compounds or combinations of longer nouns are often written in "open" with separating spaces, German (like some other Germanic languages) nearly always uses the "closed" form without spaces, for example: Baumhaus ("tree house"). Like English, German allows arbitrarily long compounds in theory (see also English compounds). The longest German word verified to be actually in (albeit very limited) use is Rindfleischetikettierungsüberwachungsaufgabenübertragungsgesetz , which, literally translated, is "beef labelling supervision duty assignment law" [from Rind (cattle), Fleisch (meat), Etikettierung(s) (labelling), Überwachung(s) (supervision), Aufgaben (duties), Übertragung(s) (assignment), Gesetz (law)]. However, examples like this are perceived by native speakers as excessively bureaucratic, stylistically awkward or even satirical. the distinction between grammatical aspects is rendered by combined use of subjunctive and/or preterite marking so the plain indicative voice uses neither of those two markers; the subjunctive by itself conveys secondhand information[ clarification needed ]; subjunctive plus preterite marks the conditional state; and the preterite alone shows either plain indicative (in the past), or functions as a (literal) alternative for either second-hand-information or the conditional state of the verb, when necessary for clarity. disambiguation of completed vs. uncompleted forms is widely observed and regularly generated by common prefixes ( blicken [to look], erblicken [to see – unrelated form: sehen ]). At the same time, the effectiveness of the German language in forming equivalents for foreign words from its inherited Germanic stem repertory is great. [ citation needed ] Thus, Notker Labeo was able to translate Aristotelian treatises in pure (Old High) German in the decades after the year 1000. The tradition of loan translation was revitalized in the 18th century, with linguists like Joachim Heinrich Campe, who introduced close to 300 words that are still used in modern German. Even today, there are movements that try to promote the Ersatz (substitution) of foreign words deemed unnecessary with German alternatives. It is claimed that this would also help in spreading modern or scientific notions among the less educated and as well democratise public life. The Duden is the de facto official dictionary of the German language, first published by Konrad Duden in 1880. The Duden is updated regularly, with new editions appearing every four or five years. As of August 2017 [update] , it is in its 27th edition and in 12 volumes, each covering different aspects such as loanwords, etymology, pronunciation, synonyms, and so forth. The Österreichisches Wörterbuch ("Austrian Dictionary"), abbreviated ÖWB , is the official dictionary of the German language in the Republic of Austria. It is edited by a group of linguists under the authority of the Austrian Federal Ministry of Education, Arts and Culture (German: Bundesministerium für Unterricht, Kunst und Kultur). It is the Austrian counterpart to the German Duden and contains a number of terms unique to Austrian German or more frequently used or differently pronounced there. A considerable amount of this "Austrian" vocabulary is also common in Southern Germany, especially Bavaria, and some of it is used in Switzerland as well. The most recent edition is the 42nd from 2012. Since the 39th edition from 2001 the orthography of the ÖWB was adjusted to the German spelling reform of 1996. The dictionary is also officially used in the Italian province of South Tyrol. German is written in the Latin alphabet. In addition to the 26 standard letters, German has three vowels with Umlaut, namely ä, ö and ü, as well as the eszett or scharfes s (sharp s): ß . In Switzerland and Liechtenstein, ss is used instead of ß. Since ß can never occur at the beginning of a word, it has no traditional uppercase form. If a vowel (other than i) is at the end of a syllable or followed by a single consonant, it is usually pronounced long (e.g. Hof[hoːf]). If the vowel is followed by a double consonant (e.g. ff, ss or tt), ck, tz or a consonant cluster (e.g. st or nd), it is nearly always short (e.g. hoffen[ˈhɔfən]). Double consonants are used only for this function of marking preceding vowels as short; the consonant itself is never pronounced lengthened or doubled, in other words this is not a feeding order of gemination and then vowel shortening. Both of these rules have exceptions (e.g. hat[hat] "has" is short despite the first rule; Mond[moːnt], "moon" is long despite the second rule). For an i that is neither in the combination ie (making it long) nor followed by a double consonant or cluster (making it short), there is no general rule. In some cases, there are regional differences: In central Germany (Hessen), the o in the proper name "Hoffmann" is pronounced long, whereas most other Germans would pronounce it short; the same applies to the e in the geographical name "Mecklenburg" for people in that region. The word Städte "cities", is pronounced with a short vowel [ˈʃtɛtə] by some (Jan Hofer, ARD Television) and with a long vowel [ˈʃtɛːtə] by others (Marietta Slomka, ZDF Television). Finally, a vowel followed by ch can be short (Fach[fax] "compartment", Küche[ˈkʏçə] "kitchen") or long (Suche[ˈzuːxə] "search", Bücher[ˈbyːçɐ] "books") almost at random. Thus, Lache is homographous between [laːxə]Lache "puddle" and [laxə]Lache "manner of laughing" (colloquial) or lache! "laugh!" (imperative). Additionally, the digraph ie generally represents the phoneme /iː/, which is not a diphthong. In many varieties, an /r/ at the end of a syllable is vocalised. However, a sequence of a vowel followed by such a vocalised /r/ is not a phonemic diphthong: Bär[bɛːɐ̯] "bear", er[eːɐ̯] "he", wir[viːɐ̯] "we", Tor[toːɐ̯] "gate", kurz[kʊɐ̯ts] "short", Wörter[vœɐ̯tɐ] "words". ch occurs often and is pronounced either [ç] (after ä, ai, äu, e, ei, eu, i, ö, ü and consonants; in the diminutive suffix -chen; and at the beginning of a word), [x] (after a, au, o, u), or [k] at the beginning of a word before a, o, u and consonants. Ch never occurs at the beginning of an originally German word. In borrowed words with initial Ch before front vowels (Chemie "chemistry" etc. ), [ç] is considered standard. However, Upper Germans and Franconians (in the geographical sense) replace it with [k], as German as a whole does before darker vowels and consonants such as in Charakter, Christentum. Middle Germans (except Franconians) will borrow a [ʃ] from the French model. Both agree in considering each other's variant,[ clarification needed ] and Upper Germans also the standard in [ç], as particularly awkward and unusual. dsch is pronounced [d͡ʒ] (e.g. Dschungel/ˈd͡ʒʊŋəl/ "jungle") but appears in a few loanwords only. h is pronounced [h] as in "home" at the beginning of a syllable. After a vowel it is silent and only lengthens the vowel (e.g. Reh[ʁeː] = roe deer). j is pronounced [j] in Germanic words (Jahr[jaːɐ̯]) (like "y" in "year"). In recent loanwords, it follows more or less the respective languages' pronunciations. q only exists in combination with u and is pronounced [kv]. It appears in both Germanic and Latin words (quer[kveːɐ̯]; Qualität[kvaliˈtɛːt]). But as most words containing q are Latinate, the letter is considerably rarer in German than it is in English. r is usually pronounced in a guttural fashion (a voiced uvular fricative [ʁ] or uvular trill [ʀ]) in front of a vowel or consonant (Rasen[ˈʁaːzən]; Burg[bʊʁk]). In spoken German, however, it is commonly vocalised after a vowel (er being pronounced rather like [ˈɛɐ̯] – Burg[bʊɐ̯k]). In some varieties, the r is pronounced as a "tongue-tip" r (the alveolar trill [r]). s in German is pronounced [z] (as in "zebra") if it forms the syllable onset (e.g. Sohn[zoːn]), otherwise [s] (e.g. Bus[bʊs]). In Austria, Switzerland, and Southern Germany, [s] occurs at syllable onset as well. A ss[s] indicates that the preceding vowel is short. st and sp at the beginning of words of German origin are pronounced [ʃt] and [ʃp], respectively. v is pronounced [f] in a limited number of words of Germanic origin, such as Vater[ˈfaːtɐ], Vogel "bird", von "from, of", vor "before, in front of", voll "full" and the prefix ver-. It is also used in loanwords, where it is normally pronounced [v]. This pronunciation is common in words like Vase, Vikar, Viktor, Viper, Ventil, vulgär, and English loanwords; however, pronunciation is [f] by some people in some in the very south. The only non-German word in which "v" is always pronounced "f" is Eva (Eve). w is pronounced [v] as in "vacation" (e.g. was[vas]). y is pronounced as [y] when long, and [ʏ] when short (as in Hygiene[hyɡi̯ˈeːnə] ; Labyrinth[labyˈʁɪnt] or Gymnasium/ɡʏmˈnaːzi̯ʊm/), except in ay and ey which are both pronounced [aɪ̯]. It is also often used in loanwords and pronounced like in the original language like in Style or Recycling. z is always pronounced [t͡s] (e.g. zog[t͡soːk]), except in loanwords. A tz indicates that the preceding vowel is short. German does not have any dental fricatives (as English th). The th sounds, which the English language still has, disappeared on the continent in German with the consonant shifts between the 8th and the 10th centuries. It is sometimes possible to find parallels between English and German by replacing the English th with d in German: "Thank" → in German Dank, "this" and "that" → dies and das, "thou" (old 2nd person singular pronoun) → du, "think" → denken, "thirsty" → durstig and many other examples. The German language is used in German literature and can be traced back to the Middle Ages, with the most notable authors of the period being Walther von der Vogelweide and Wolfram von Eschenbach. The Nibelungenlied , whose author remains unknown, is also an important work of the epoch. The fairy tales collections collected and published by Jacob and Wilhelm Grimm in the 19th century became famous throughout the world. 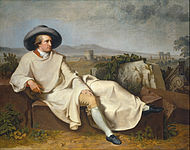 The government-backed Goethe-Institut  (named after the famous German author Johann Wolfgang von Goethe) aims to enhance the knowledge of German culture and language within Europe and the rest of the world. This is done by holding exhibitions and conferences with German-related themes, and providing training and guidance in the learning and use of the German language. For example, the Goethe-Institut teaches the Goethe-Zertifikat German language qualification. The German state broadcaster Deutsche Welle is the equivalent of the British BBC World Service and provides radio and television broadcasts in German and 30 other languages across the globe. Its German language services are tailored for German language learners by being spoken at slow speed. Deutsche Welle also provides an e-learning website to learn German. 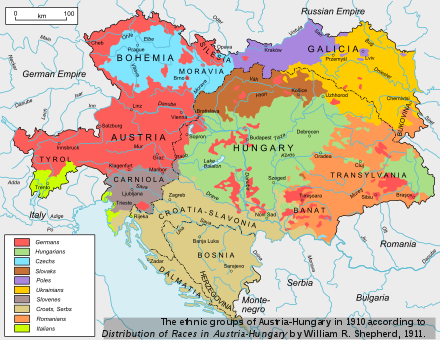 The High German languages or High German dialects comprise the varieties of German spoken south of the Benrath and Uerdingen isoglosses in central and southern Germany, Austria, Liechtenstein, Switzerland, and Luxembourg, as well as in neighboring portions of France, Italy, the Czech Republic (Bohemia), and Poland. They are also spoken in diaspora in Romania, Russia, the United States, Brazil, Argentina, Mexico, Chile, and Namibia. 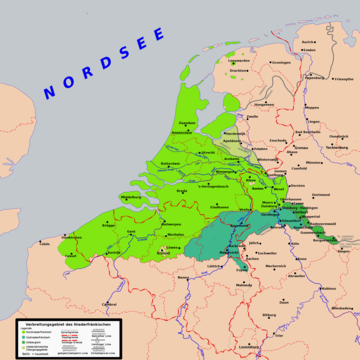 Plautdietsch, or Mennonite Low German, is a Low Prussian dialect of East Low German with Dutch influence that developed in the 16th and 17th centuries in the Vistula delta area of Royal Prussia. The word Plautdietsch translates to "flat German", from plat meaning "flat", and duits meaning German. In other Low German dialects, the word for Low German is usually realised as Plattdüütsch[ˈplatdyːtʃ] or Plattdüütsk[ˈplatdyːtsk], but the spelling Plautdietsch is used to refer specifically to the Vistula variant of the language. Sango is a creole language in the Central African Republic and the primary language spoken in the country. It is an official language of the Central African Republic, making the Central African Republic one of the few African countries with an indigenous language as an official language. It is used as a lingua franca across the country and had 450,000 native speakers in 1988. It also has 1.6 million second language speakers. Middle High German is the term for the form of German spoken in the High Middle Ages. It is conventionally dated between 1050 and 1350, developing from Old High German and into Early New High German. High German is defined as those varieties of German which were affected by the Second Sound Shift; the Middle Low German and Middle Dutch languages spoken to the North and North West, which did not participate in this sound change, are not part of MHG. Limburgish, also called Limburgan, Limburgian, or Limburgic, is a group of East Low Franconian varieties spoken in the Belgian and Dutch provinces both named Limburg and some neighbouring areas of Germany. The area in which it is spoken roughly fits within a wide circle from Venlo to Düsseldorf to Aachen to Maastricht to Tienen and back to Venlo. In some parts of this area it is generally used as the colloquial language in daily speech. Algerian Arabic is a language derived from a variety of the Arabic language spoken in northern Algeria. It belongs to the Maghrebi Arabic language continuum and is partially mutually intelligible with Tunisian and Moroccan. Tweants is a group of non-standardised, closely related Westphalian, Dutch Low Saxon dialects, descending from Old Saxon. It is spoken daily by approximately 62% of the population of Twente, a region in the eastern Dutch province of Overijssel bordering on (Germany). The Eifeler Regel is a linguistic phenomenon originally documented in the dialects of the Eifel region in the far west of Germany during the late 19th century. The rule describes a phonological process in the languages which causes the deletion of final in certain contexts, and may be reflected in spelling. 1 2 3 4 5 "Special Eurobarometer 386: Europeans and their languages" (PDF) (report). European Commission. June 2012. Archived from the original (PDF) on 6 January 2016. Retrieved 24 July 2015. ↑ Hammarström, Harald; Forkel, Robert; Haspelmath, Martin, eds. (2017). "High Franconian". Glottolog 3.0 . Jena, Germany: Max Planck Institute for the Science of Human History. ↑ Hammarström, Harald; Forkel, Robert; Haspelmath, Martin, eds. (2017). "Alpine Germanic". Glottolog 3.0 . Jena, Germany: Max Planck Institute for the Science of Human History. ↑ "German 'should be a working language of EU', says Merkel's party". The Daily Telegraph . 18 June 2013. ↑ Europeans and their Languages Archived 6 January 2016 at the Wayback Machine , Data for EU27, published in 2012. ↑ Burns, Judith (22 June 2014). "Foreign languages 'shortfall' for business, CBI says". BBC News . 1 2 Robinson, Orrin W. (1992). Old English and its closest relatives : a survey of the earliest Germanic languages. Stanford, Calif.: Stanford University Press. p. 16. ISBN 978-0-8047-2221-6. OCLC 22811452. 1 2 3 4 Robinson, Orrin W. (1992). 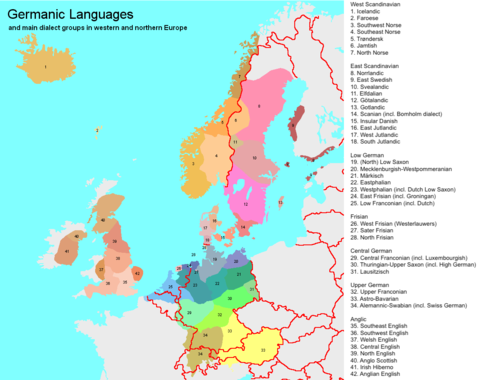 Old English and its closest relatives : a survey of the earliest Germanic languages. Stanford, Calif.: Stanford University Press. pp. 239, 242. ISBN 978-0-8047-2221-6. OCLC 22811452. 1 2 3 Scherer, Wilhelm; Jankowsky, Kurt R. (1995). Zur Geschichte der Deutschen Sprache. Oxford University. Amsterdam; Philadelphia: J. Benjamins. p. 11. 1 2 Waterman, John (1976). A history of the German language: with special reference to the cultural and social forces that shaped the standard literary language (Rev. ed.). Seattle: University of Washington Press. p. 83. ISBN 978-0-295-73807-9. OCLC 2366263. ↑ Alder, Aaron D. "A Brief History of the German Language". linguistics.byu.edu. Retrieved 2017-07-13. ↑ Salmons, Joe (2012). A history of German : what the past reveals about today's language (1st ed.). Oxford: Oxford University Press. p. 195. ISBN 978-0-19-969793-9. OCLC 811323307. ↑ Keller, R.E. (1978). The German language. London: Faber. pp. 365–368. ISBN 978-0-571-11159-6. OCLC 4139504. ↑ Bach, Adolf (1965). Geschichte der deutschen Sprache. Heidelberg: Quelle & Meyer. p. 254. ↑ Super, Charles William (1893). A history of the German language. University of California Libraries. Columbus, Ohio: Hann & Adair. p. 81. ↑ Dickens, A.G. (1974). The German Nation and Martin Luther. New York: Harper & Row. p. 134. ↑ Synopsis of the Deutsches Wörterbuch (in English) at the Language Research Centre, Berlin-Brandenburg Academy of Sciences and Humanities, retrieved 27 June 2012. ↑ Weiss, Gerhard (1995). "Up-to-Date and with a Past: The "Duden" and its History". Die Unterrichtspraxis / Teaching German. 28 (1): 7–12. doi:10.2307/3531328. JSTOR 3531328. ↑ Dieter Nerius: Die Rolle der II. Orthographischen Konferenz (1901) in der Geschichte der deutschen Rechtschreibung. In: Zeitschrift für deutsche Philologie ( ISSN 0044-2496), 119. Jahrgang 2000, Nr. 1, S. 30–54. 1 2 3 "Foreign language learning statistics – Statistics Explained". 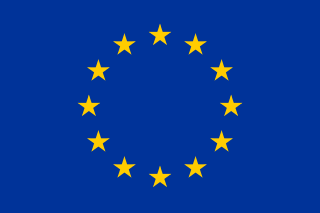 Ec.europa.eu. 17 March 2016. Retrieved 18 July 2016. ↑ Marten, Thomas; Sauer, Fritz Joachim, eds. (2005). Länderkunde – Deutschland, Österreich, Schweiz und Liechtenstein im Querschnitt[Regional Geography – An Overview of Germany, Austria, Switzerland and Liechtenstein] (in German). Berlin: Inform-Verlag. p. 7. ISBN 978-3-9805843-1-9. ↑ Steinicke, Ernst; Walder, Judith; Löffler, Roland; Beismann, Michael (20 December 1999). "Autochthonous Linguistic Minorities in the Italian Alps". Revue de Géographie Alpine (99–2). doi:10.4000/rga.1454 . Retrieved 18 July 2016. ↑ "Kazakhstan – Languages". Ethnologue.com. Retrieved 18 July 2016. ↑ "Kazakhstan – Law on Languages". Usefoundation.org. 11 July 1997. Archived from the original on 4 March 2016. Retrieved 18 July 2016. ↑ "Устав азовского районного совета от 21.05.2002 N 5-09 устав муниципального". Russia.bestpravo.com. Archived from the original on 8 August 2016. Retrieved 18 July 2016. ↑ "Charte européenne des langues régionales : Hollande nourrit la guerre contre le français". Lefigaro.fr. 2015-06-05. Retrieved 18 July 2016. 1 2 3 "Deutsch in Namibia" (PDF) (in German). Supplement of the Allgemeine Zeitung. 18 August 2007. Archived from the original (PDF) on 24 June 2008. Retrieved 23 June 2008. ↑ Deumert, Ama (2003). Markedness and salience in language contact and second-language acquisition: evidence from a non-canonical contact language. Language Sciences. 25. Elsevier Ltd. pp. 561–613. doi:10.1016/S0388-0001(03)00033-0. ↑ Schubert, Joachim. "Natal Germans". www.safrika.org. ↑ "Constitution of the Republic of South Africa, 1996 – Chapter 1: Founding Provisions | South African Government". Gov.za. Retrieved 18 July 2016. ↑ Sanhueza, Carlos (2011). "El debate sobre "el embrujamiento alemnán" y el papel de la ciencia alemana hacia fines del siglo XIX en Chile" (PDF). Ideas viajeras y sus objetos. El intercambio científico entre Alemania y América austral. Madrid–Frankfurt am Main: Iberoamericana–Vervuert (in Spanish). pp. 29–40. 1 2 3 4 5 Wagner, Claudio (2000). "Las áreas de "bocha", "polca" y "murra". Contacto de lenguas en el sur de Chile". Revista de Dialectología y Tradiciones Populares (in Spanish). LV (1): 185–196. ↑ "Legislative Assembly of the state of Espírito Santo (Commissioner for Culture and Social Communication – Addition to the constitutional amendment number 11/2009 establishing the East Pomeranian dialect as well as German as cultural heritage of the state" (PDF). Claudiovereza.files.wordpress.com. February 2011. Retrieved 18 July 2016. ↑ Gippert, Jost. "TITUS Didactica: German Dialects (map)". titus.uni-frankfurt.de. ↑ "Pommern in Brasilien – LernCafe – Online-Journal zur allgemeinen Weiterbildung". www.lerncafe.de. ↑ "Lei N.º 14.061, de 23 de julho de 2012". Archived from the original on 30 March 2019. Retrieved 30 March 2019. ↑ "Top 25 Languages in New Zealand | ethniccommunities.govt.nz". ethniccommunities.govt.nz. Retrieved 2018-10-18. ↑ Holm, John A. (1989). Pidgins and Creoles: Volume 2, Reference Survey (1st ed.). Cambridge: Cambridge University Press. p. 616. ISBN 978-0-521-35940-5 . Retrieved 12 June 2016. ↑ Знание иностранных языков в России [Knowledge of foreign languages in Russia] (in Russian). Levada Centre. 16 September 2008. Archived from the original on 10 May 2015. Retrieved 10 May 2015. ↑ von Polenz, Peter (1999). "6.5. Inter- und übernationale Beziehungen". Deutsche Sprachgeschichte vom Spätmittelalter bis zur Gegenwart. de Gruyter Studienbuch (in German). Band III: 19. und 20. Jahrhundert. Berlin; New York: de Gruyter. pp. 192–194, 196. ISBN 978-3-11-016426-8 . Retrieved 21 August 2014. ↑ "Die am häufigsten üblicherweise zu Hause gesprochenen Sprachen der ständigen Wohnbevölkerung ab 15 Jahren – 2012–2014, 2013–2015, 2014–2016" (XLS) (official site) (in German, French, and Italian). Neuchâtel, Switzerland: Federal Statistical Office FSO. 28 March 2018. Retrieved 2018-12-01. ↑ Barbour, Stephen; Stevenson, Patrick (1990). Variation in German. Cambridge: Cambridge University Press. pp. 160–163. ISBN 978-0-521-35704-3. ↑ This phenomenon is known as Denglisch in German or as Germish or Denglish in English. ↑ Note that menschlich, and occasionally human, may also mean "human, pertaining to humans," whereas Menschlichkeit and Humanität never mean "humanity, human race," which translates to Menschheit. ↑ "Ein Hinweis in eigener Sache". Wortschatz.informatik.uni-leipzig.de. 7 January 2003. Archived from the original on 15 May 2011. Retrieved 15 March 2010. ↑ Gerhard Weiss (1995). "Up-to-Date and with a Past: The "Duden" and Its History". Die Unterrichtspraxis / Teaching German. 6 (1: The Publisher as Teacher): 7–21. doi:10.2307/3531328. JSTOR 3531328. ↑ Ha, Thu-Huong. "Germany has ended a century-long debate over a missing letter in its alphabet" . Retrieved 5 December 2017. According to the council’s 2017 spelling manual: When writing the uppercase [of ß], write SS. It’s also possible to use the uppercase ẞ. Example: Straße — STRASSE — STRAẞE. ↑ Kapr, Albert (1993). Fraktur: Form und Geschichte der gebrochenen Schriften. Mainz: H. Schmidt. p. 81. ISBN 978-3-87439-260-0. ↑ For a history of the German consonants see Cercignani (1979). ↑ "Gestalt". Duden / Bibliographisches Institut GmbH. 2017. Retrieved 2017-09-20. mittelhochdeutsch gestalt = Aussehen, Beschaffenheit; Person, Substantivierung von: gestalt, althochdeutsch gistalt, 2. Partizip von stellen. ↑ "Verein Deutsche Sprache e.V." Vds-ev.de. Retrieved 18 July 2016. Harbert, Wayne (2007). The Germanic Languages. Cambridge Language Surveys. Cambridge University Press. doi:10.1017/CBO9780511755071. ISBN 978-0-521-01511-0 . Retrieved 26 February 2015. Lay summary –Language (journal of the Linguistic Society of America) (26 February 2015). König, Ekkehard; van der Auwera, Johan, eds. (1994). The Germanic Languages. Routledge Language Family Descriptions. Routledge. ISBN 978-0-415-28079-2 . Retrieved 26 February 2015. Lay summary (26 February 2015). The survey of the Germanic branch languages includes chapters by Winfred P. Lehmann, Ans van Kemenade, John Ole Askedal, Erik Andersson, Neil Jacobs, Silke Van Ness, and Suzanne Romaine. "Germany, Language and Literature of" . The American Cyclopædia . 1879.